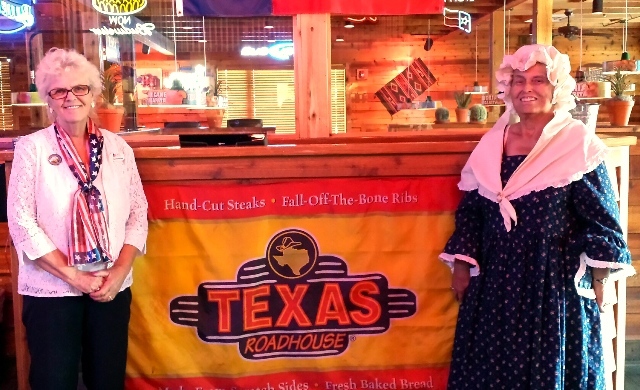 Nearly 60 lunches were purchased at our second annual Texas Roadhouse fundraiser. Money raised will help our chapter continue projects that promote the DAR objectives. 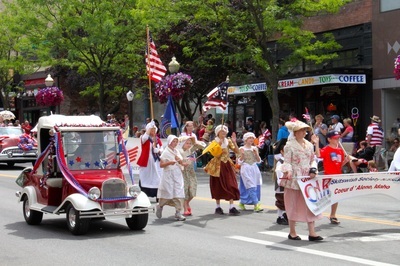 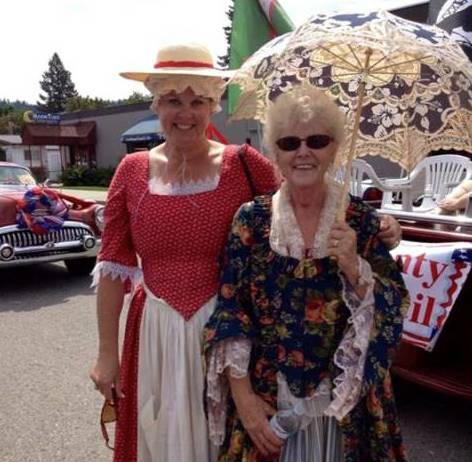 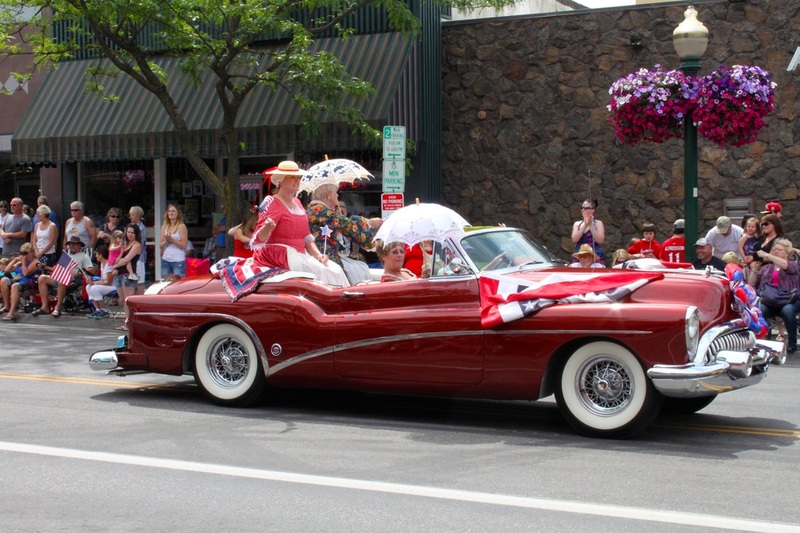 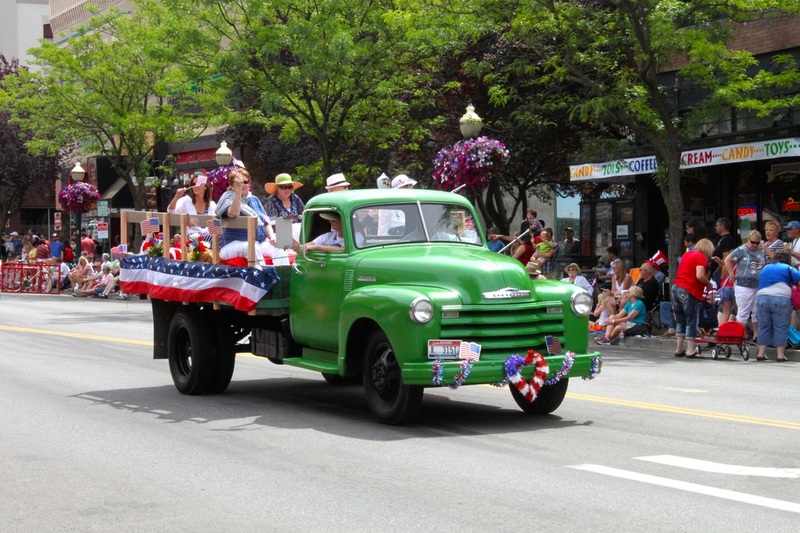 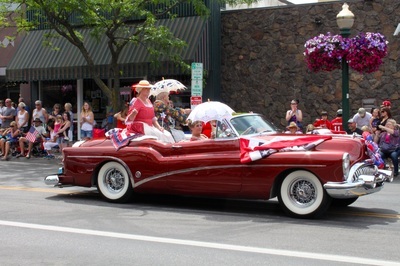 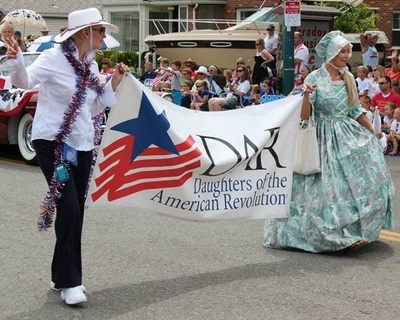 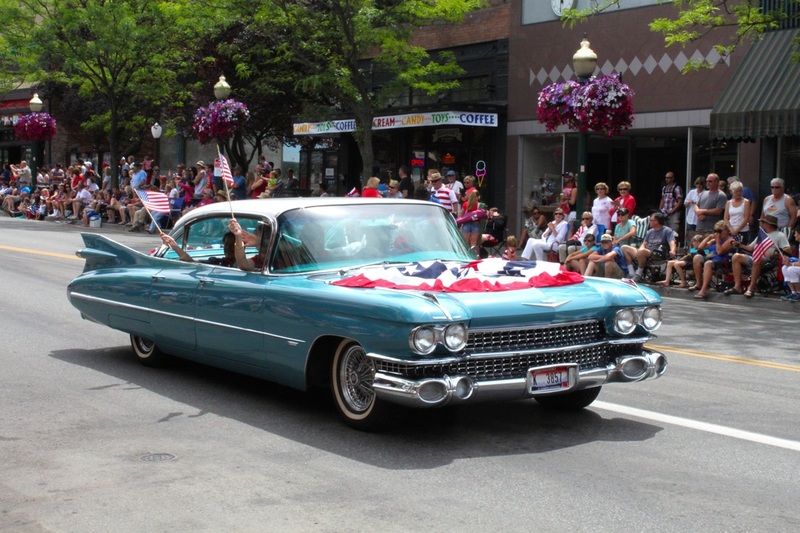 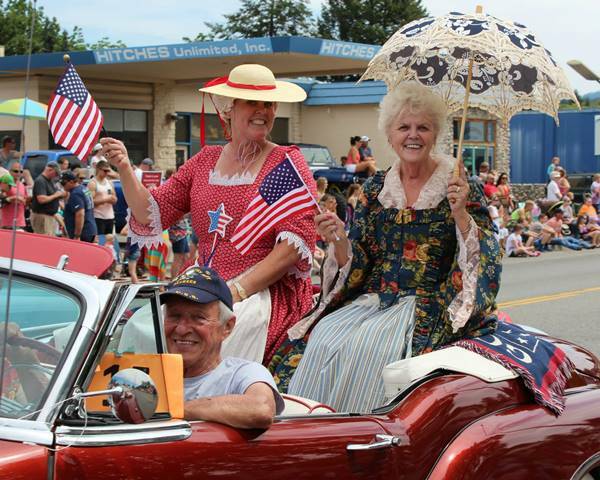 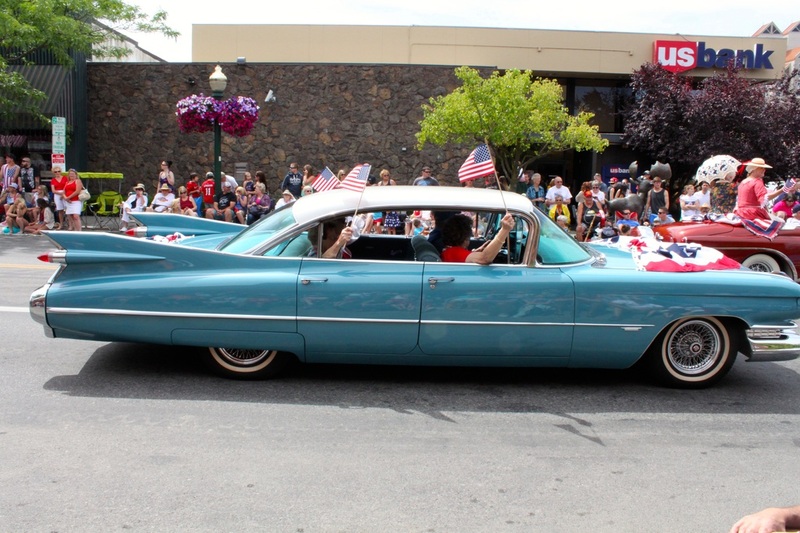 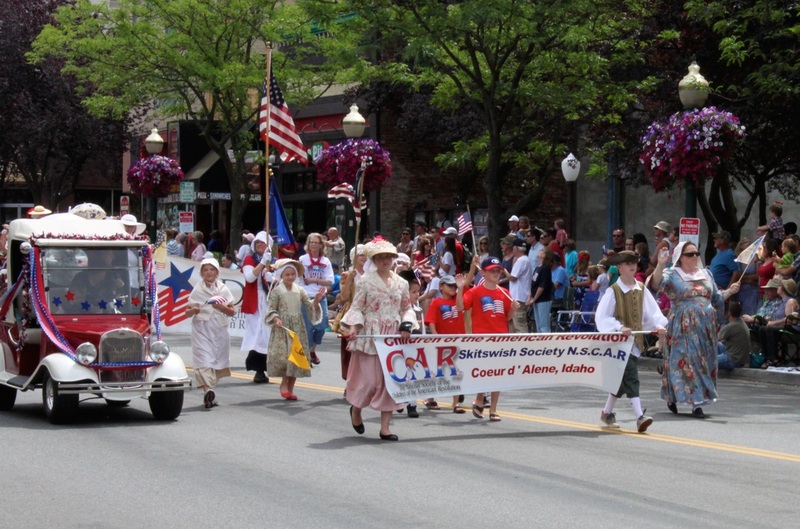 Children of the American Revolution Skitswish Chapter joined Lt. George Farragut Chapter Daughters in Coeur d'Alene's 4th of July parade. 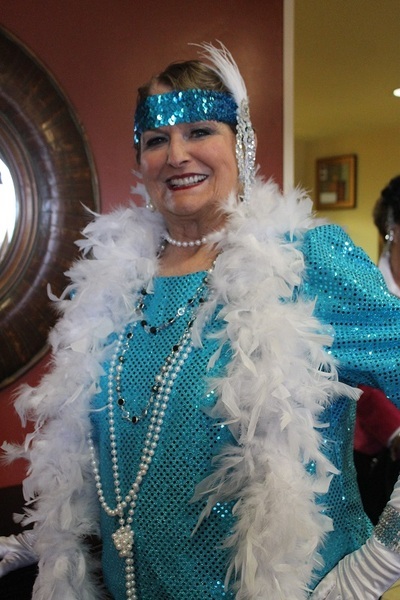 Regent Connie McGee even made the paper! 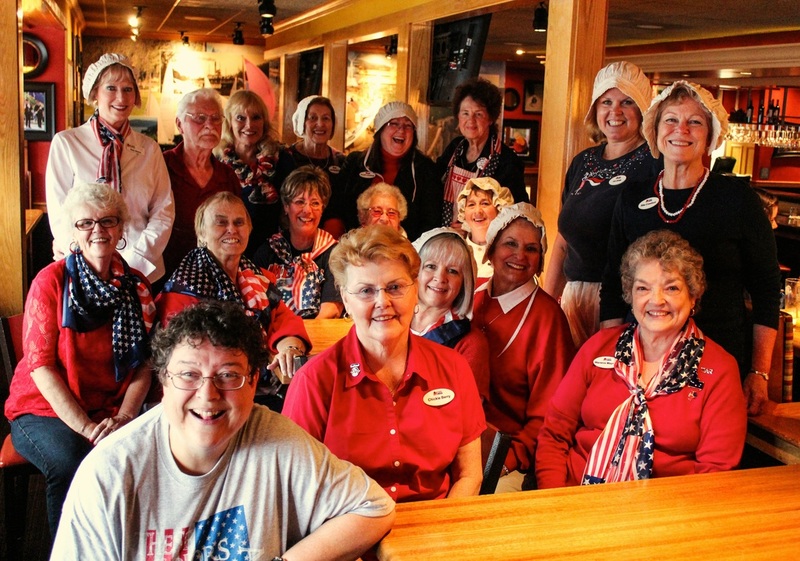 Lt. George Farragut Chapter members greeted, served, bussed, washed dishes and more at our 3rd annual Applebee's fundraiser for veterans projects. 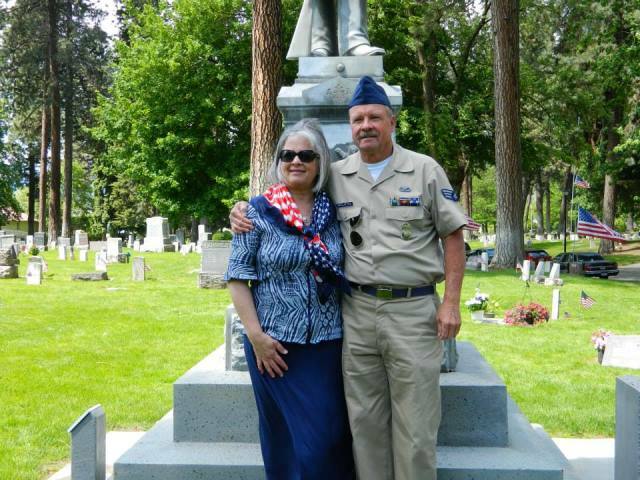 This year funds will go to Inland Northwest Honor Flight and DAR's Project Patriot. 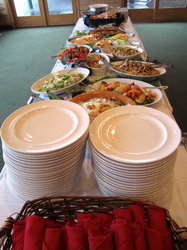 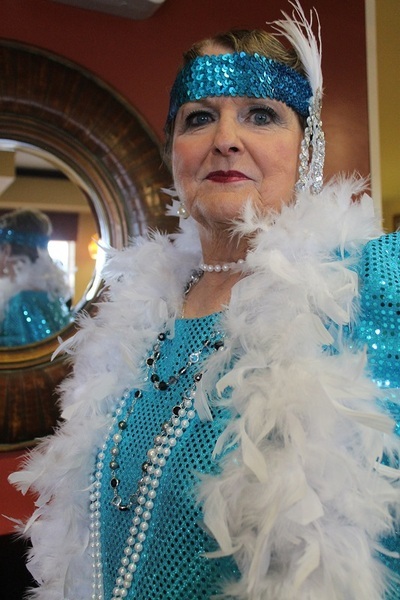 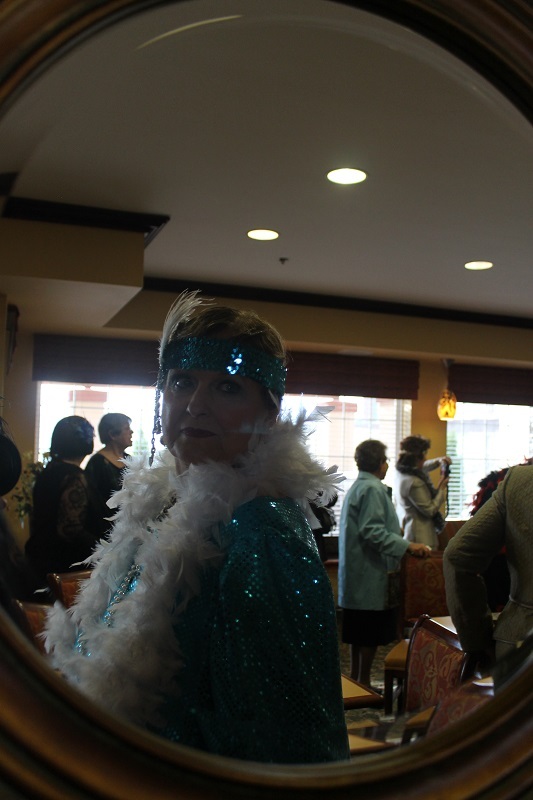 Over 100 breakfasts were served. 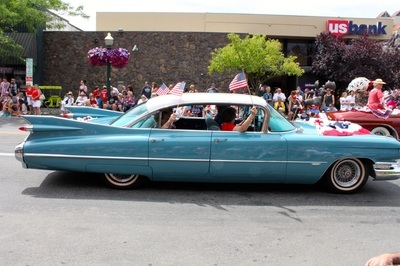 Photo credit: Elena Nelson. 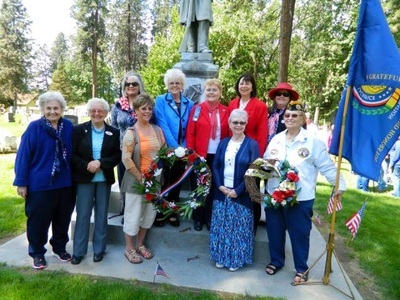 Members of Lt. George Farragut Chapter and Skitswish Society (Children of the American Revolution) gathered at Forest Cemetery to participate in the observance of Memorial Day. 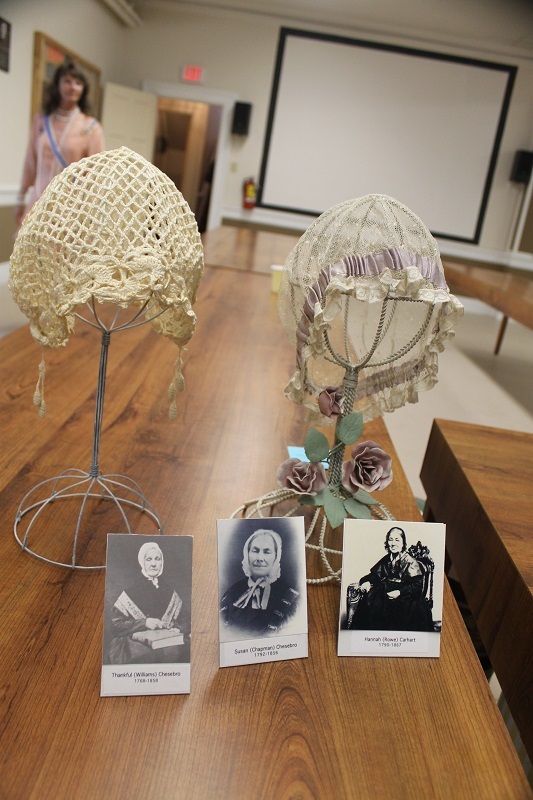 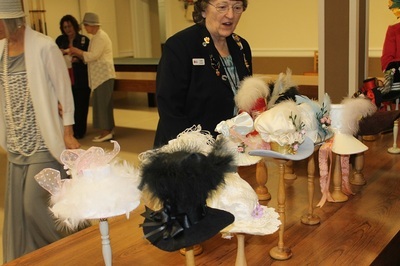 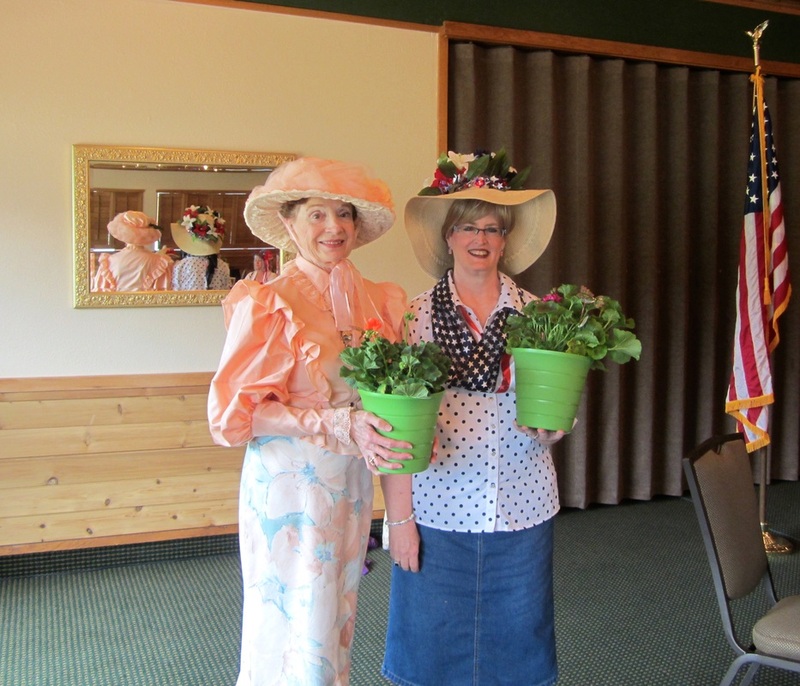 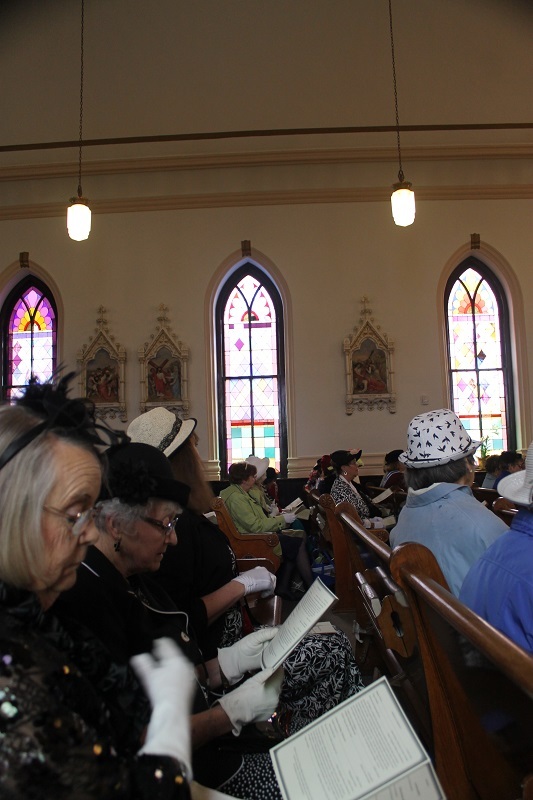 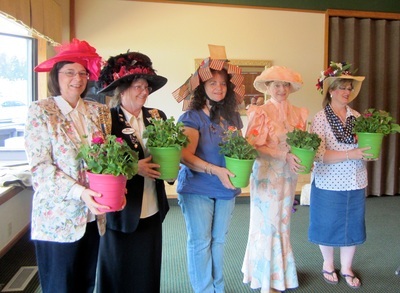 Lt. George Farragut finished the 2013-2014 year with a "Bonnets and Blooms" theme. 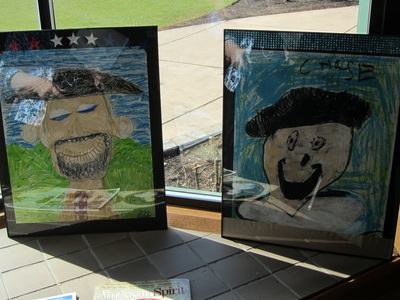 Prizes were given for "Most Original" and "Most Attractive." 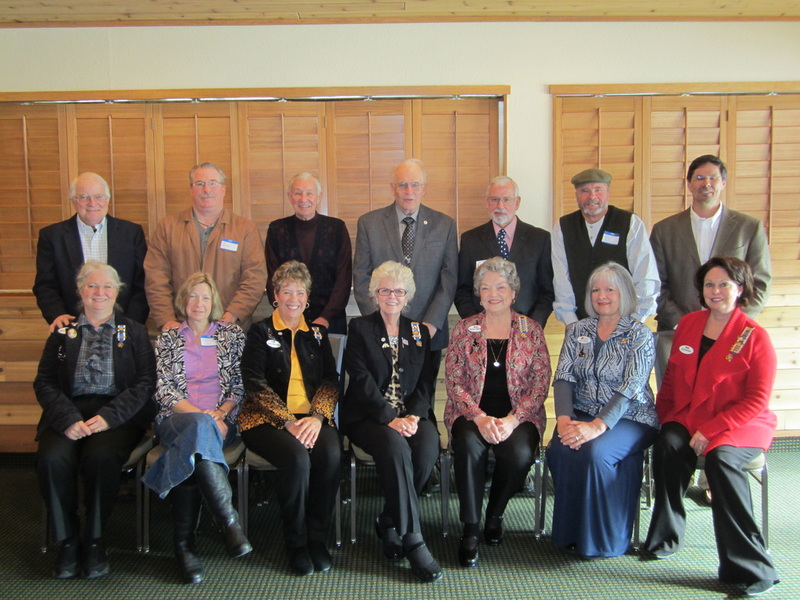 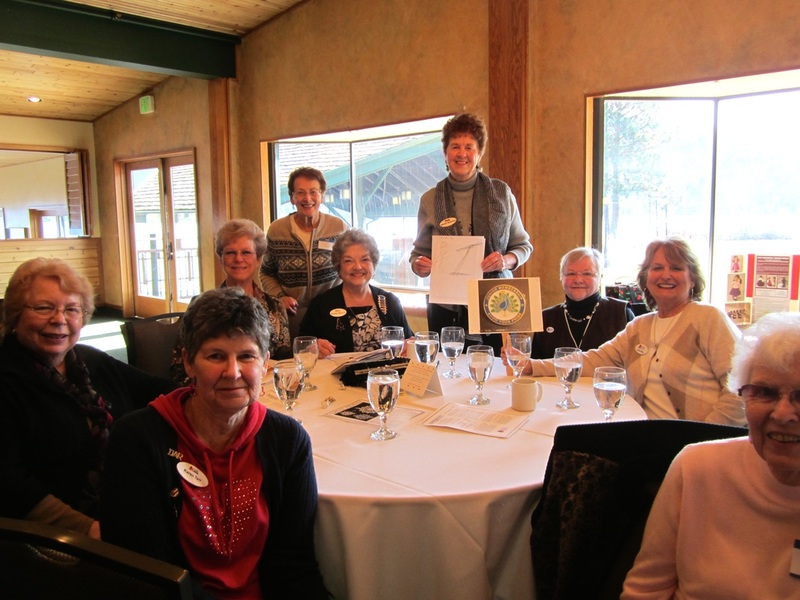 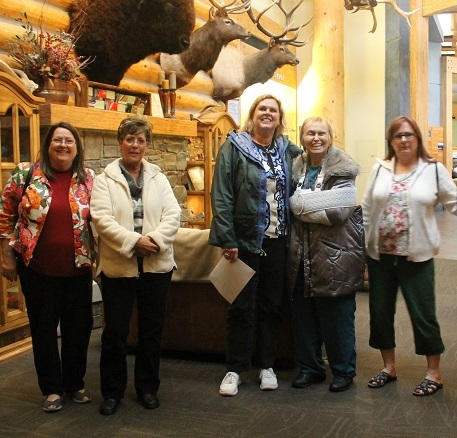 Members who attended the state conference in Pocatello shared their experiences. 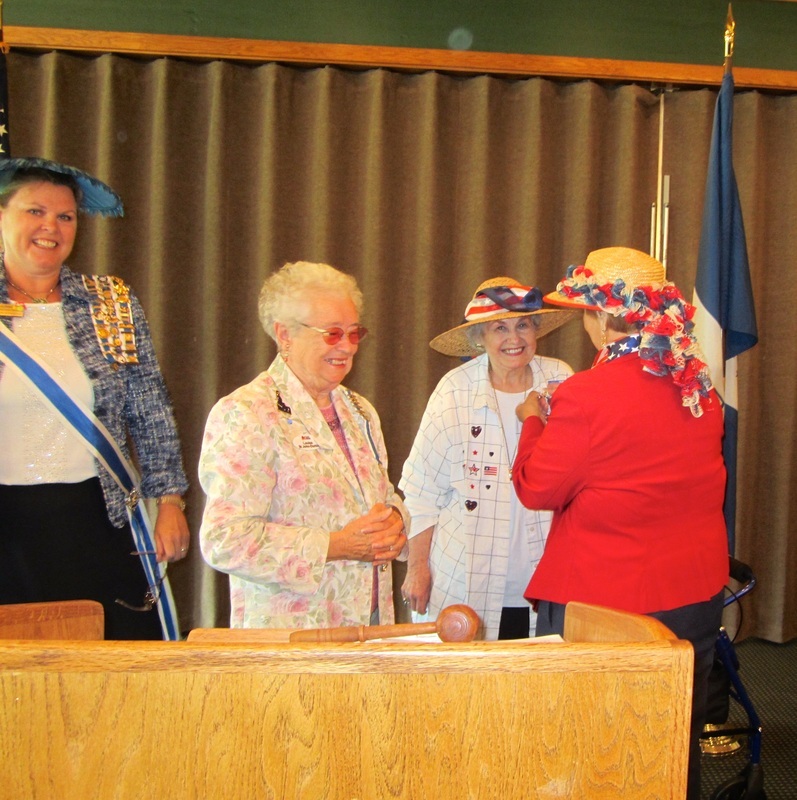 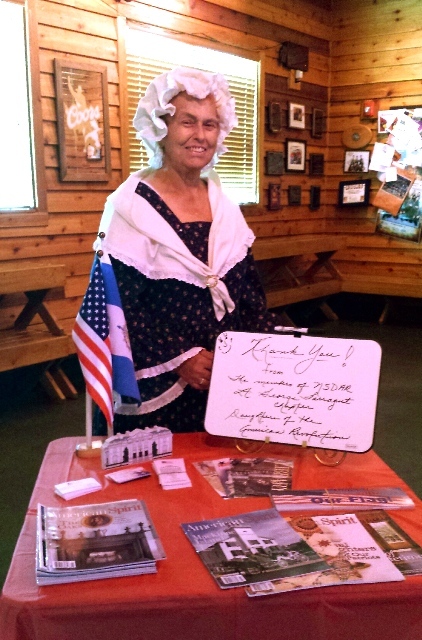 A memorial service was held for Katrina F. New member Alice R. enthusiastically took the Oath of Membership. 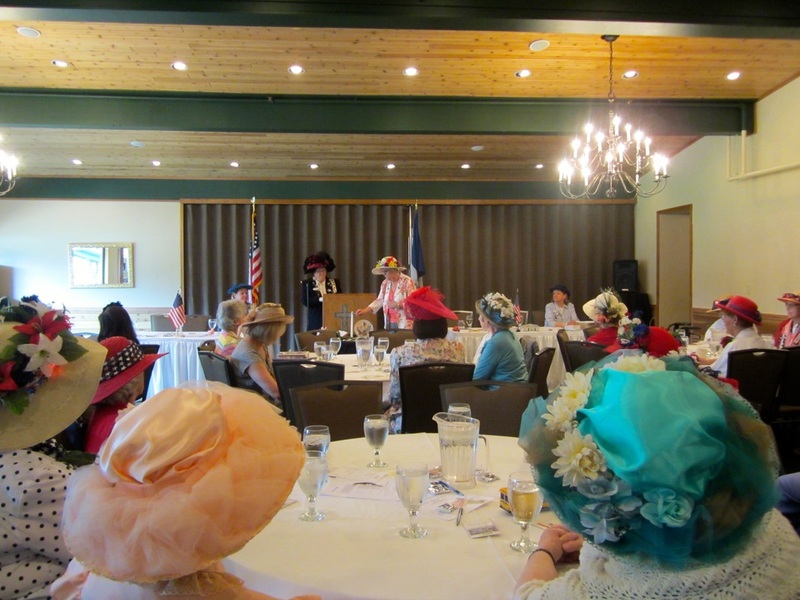 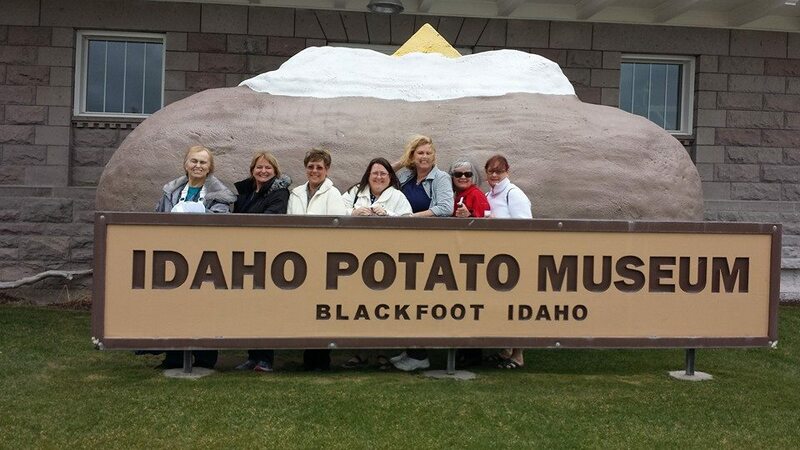 Daughters from all nine Idaho chapters met in Pocatello for the 101st Idaho State Society state conference hosted by Wyeth Chapter. 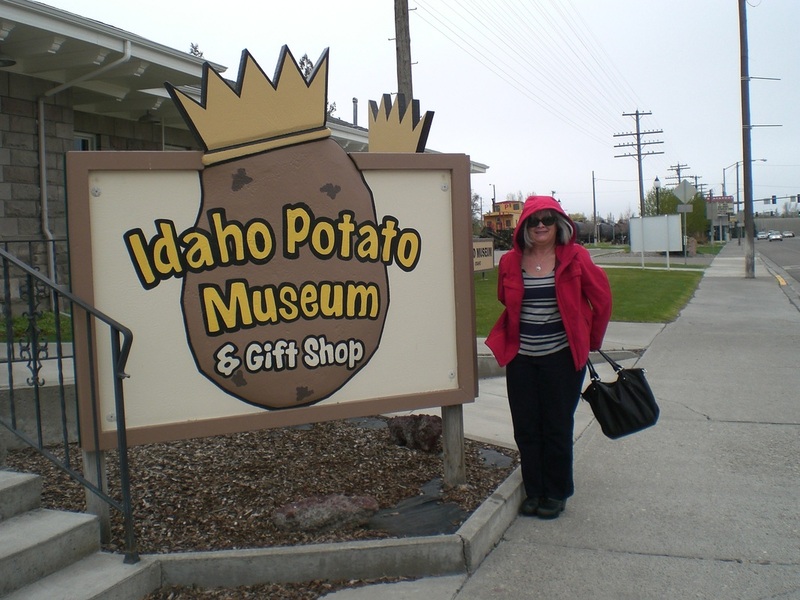 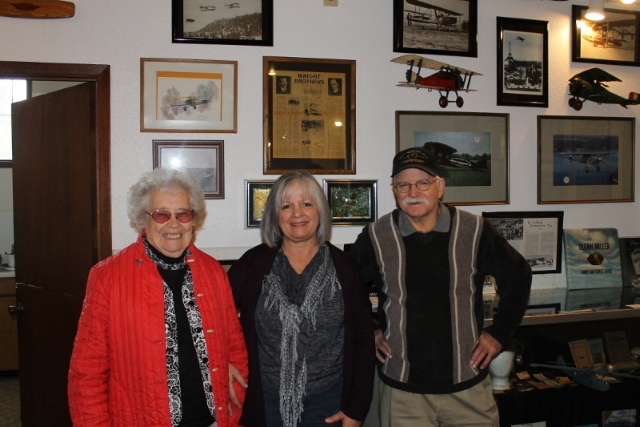 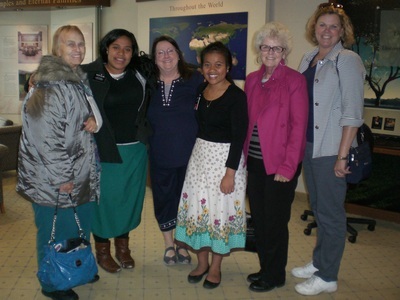 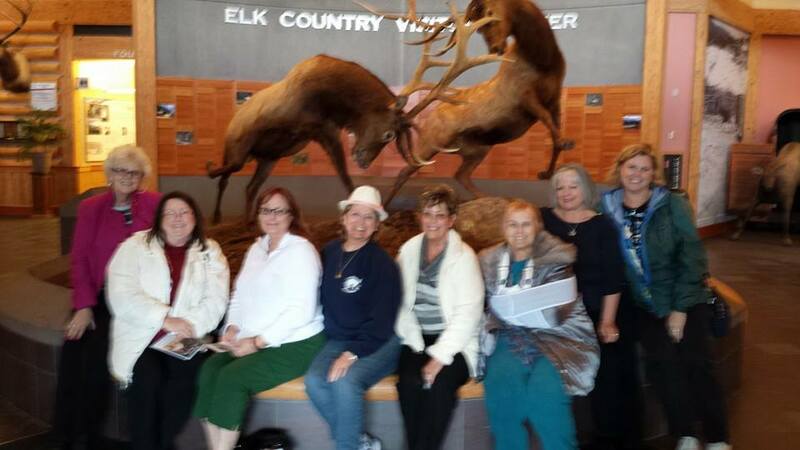 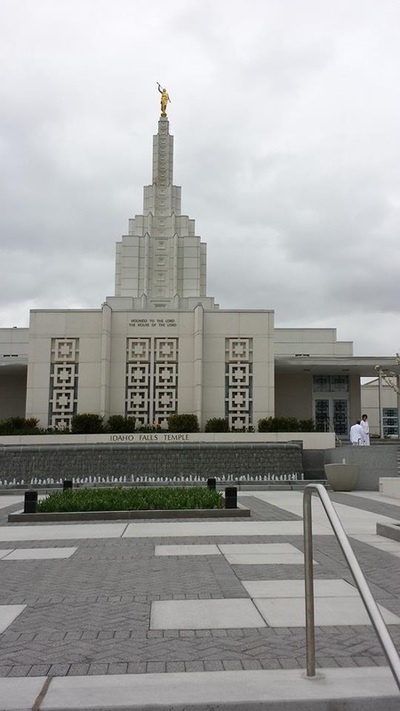 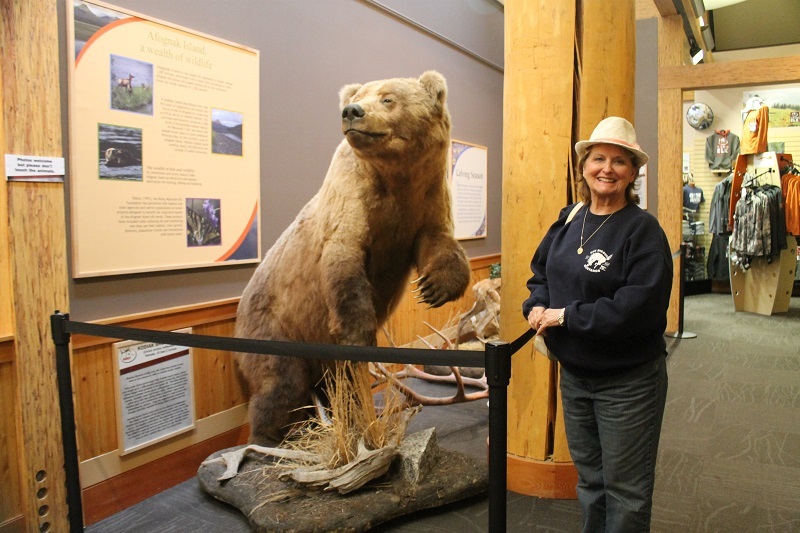 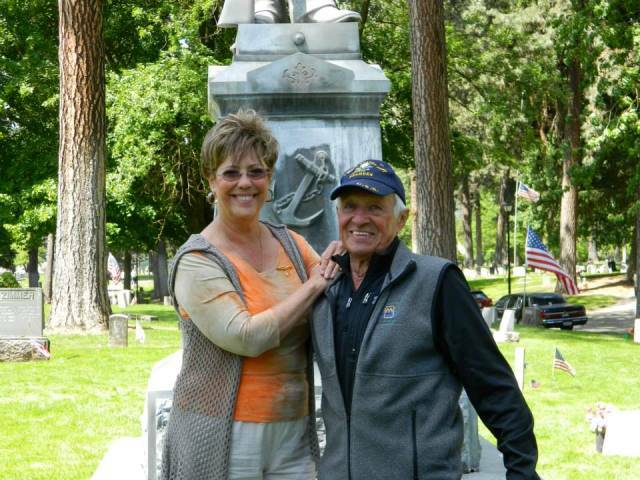 Daughters from Lt. George Farragut chapter made a road trip adventure getting to Pocatello. 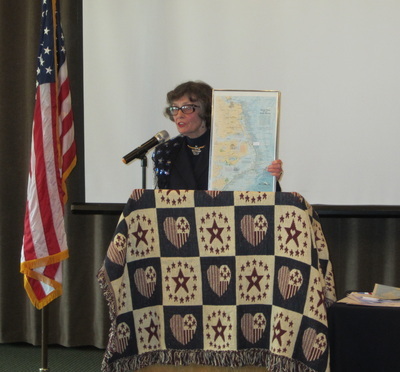 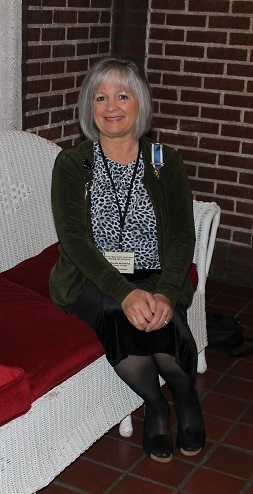 Nancy Long presented an informative program on Williamsburg, Virginia. Mrs. Long shared many maps and photos during her presentation. New member Patty G. took the Oath of Membership with Registrar Louisa Durkin and Chaplain Sandra Coultrap participating. 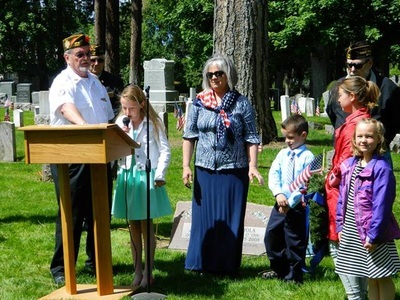 Student essay winners were acknowledged with two in attendance to read part of their essay. 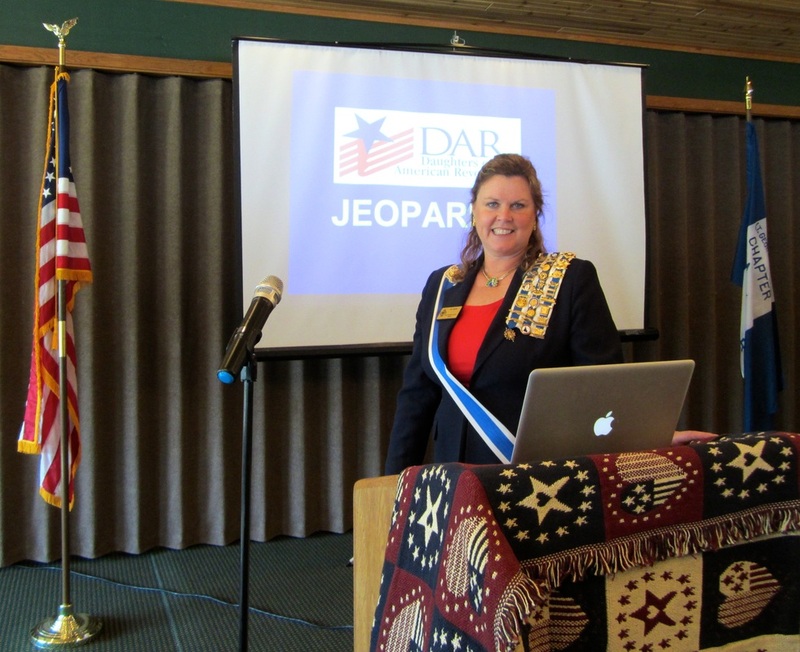 Vice President General Liz Jones presented a Jeopardy-style program on Pins, Placement and Protocol. 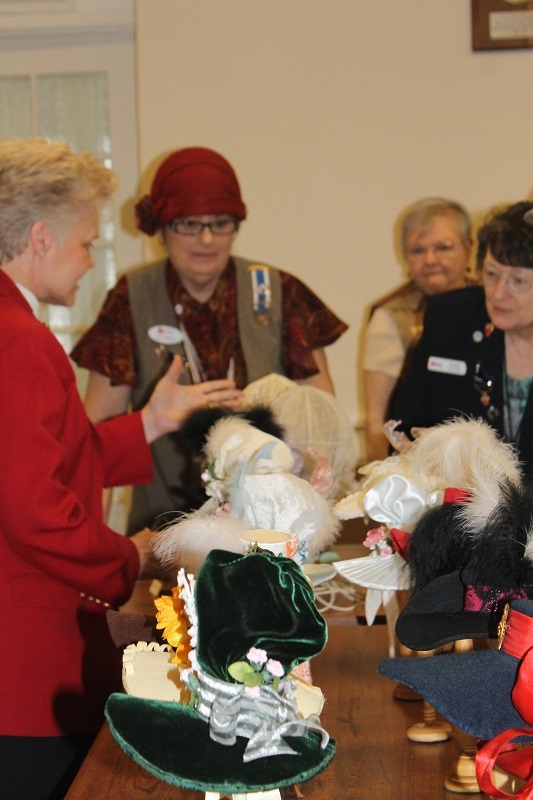 Attendees divided into three groups: Eagles, Owls and Peacocks to compete. 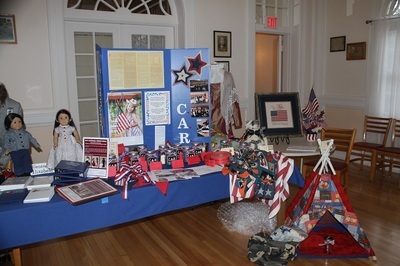 Also featured below are patriot portraits done at a recent CAR meeting. 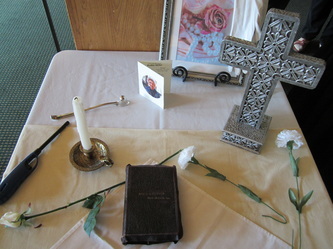 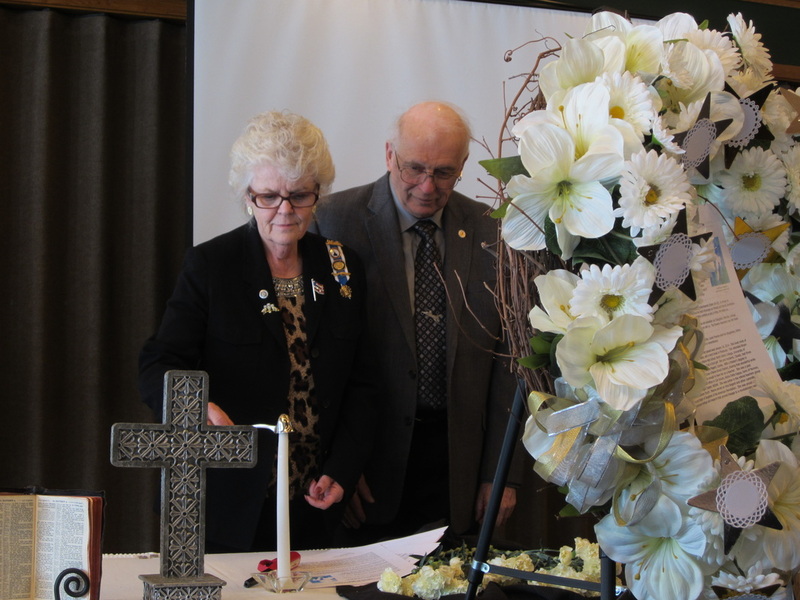 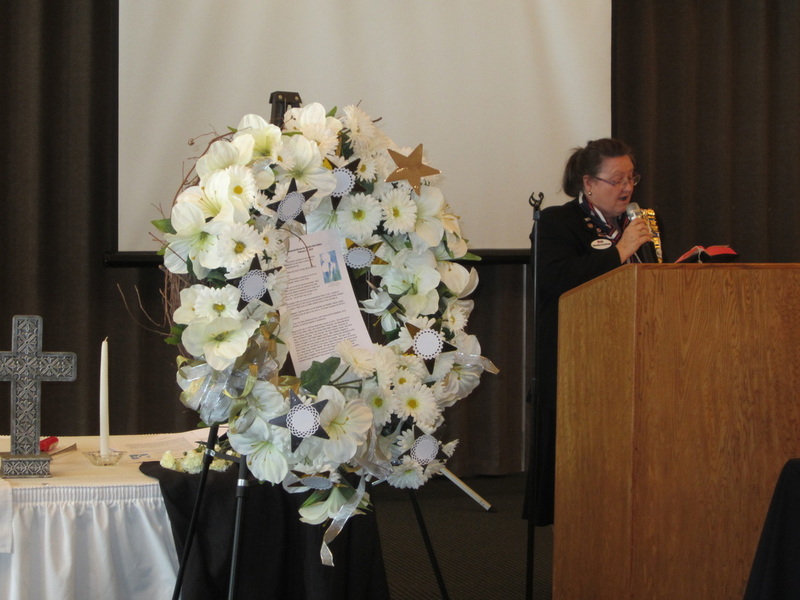 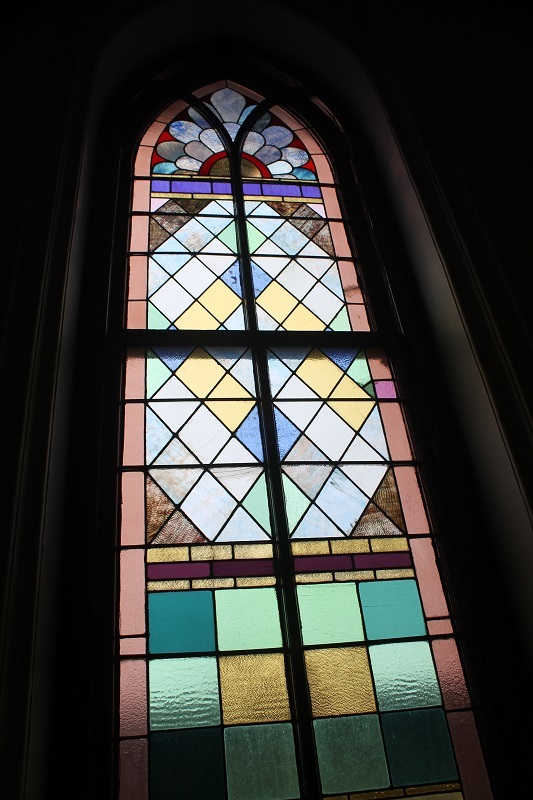 Former Chapter Vice Regent Maxine Nelson was remembered in a memorial service led by Chaplain Sandra Coultrap. 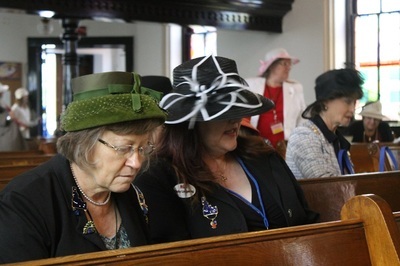 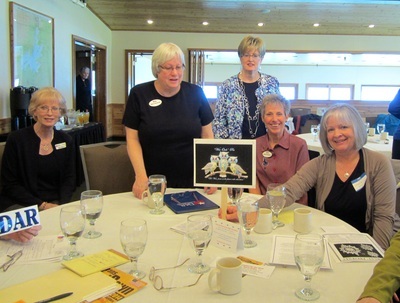 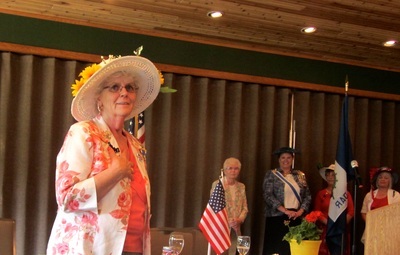 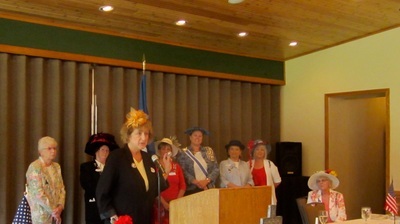 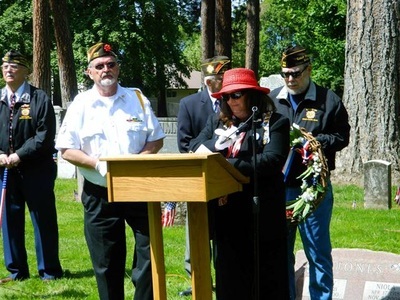 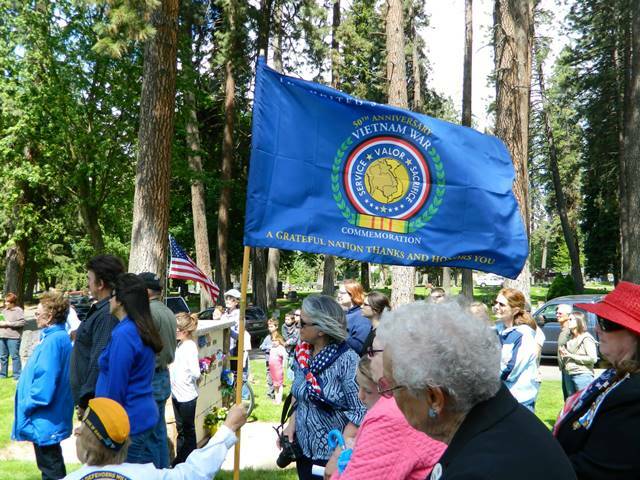 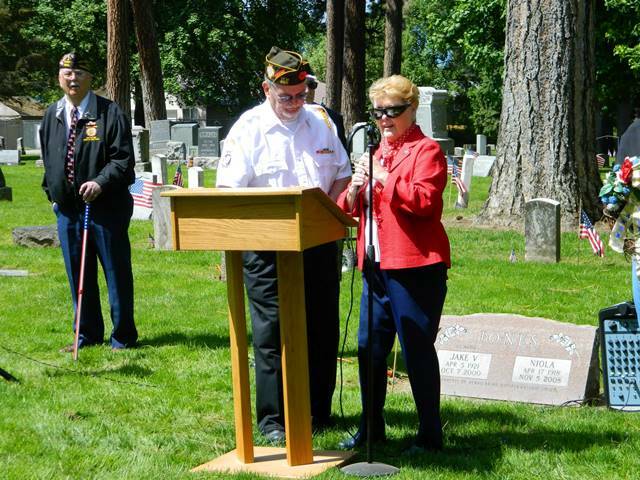 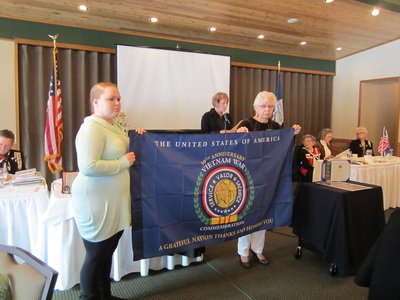 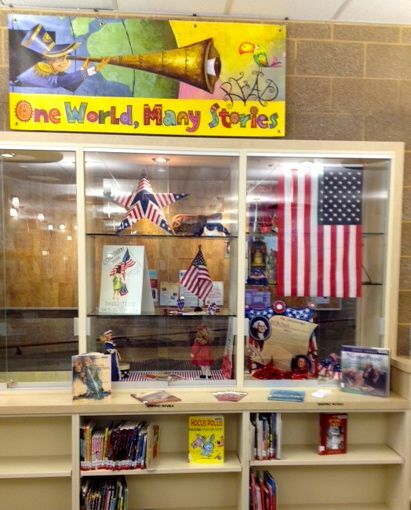 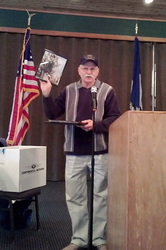 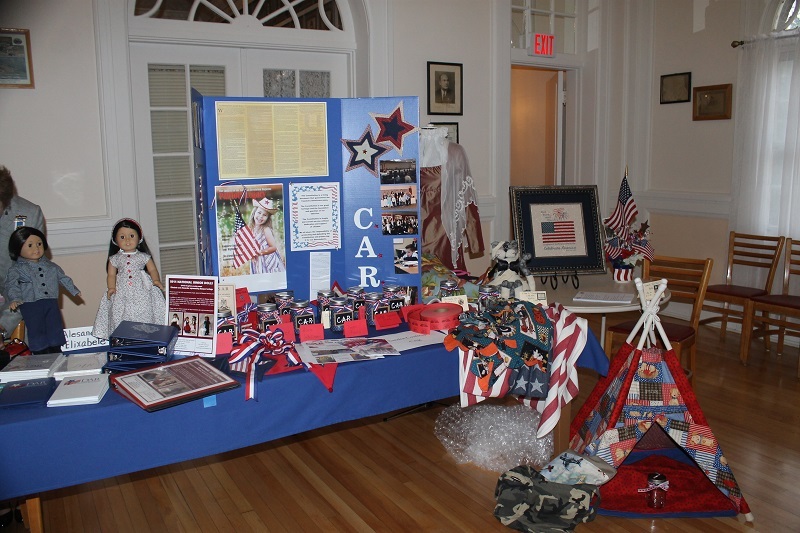 Jane Robertson shared news of our chapter's participating in commemoration of the Vietnam War. 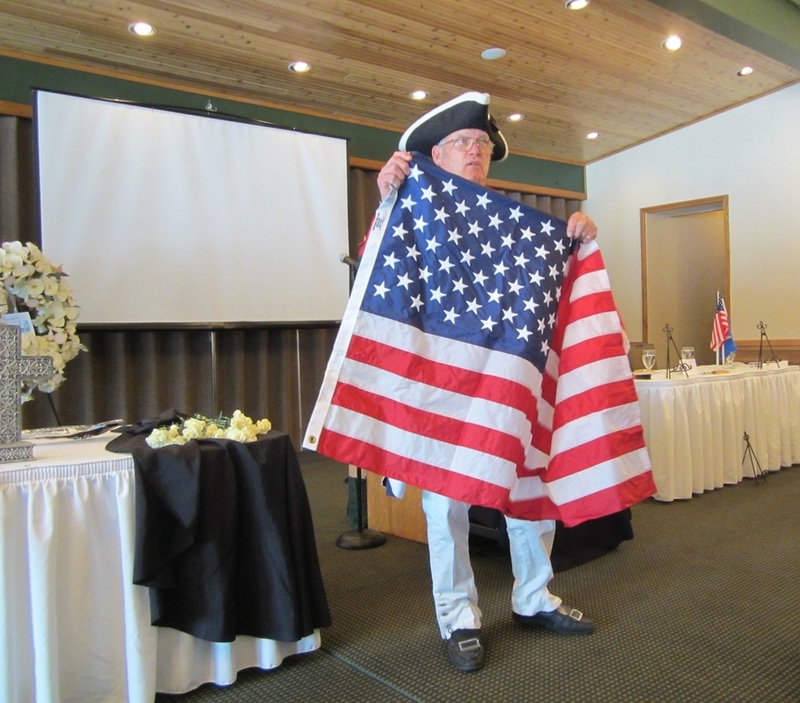 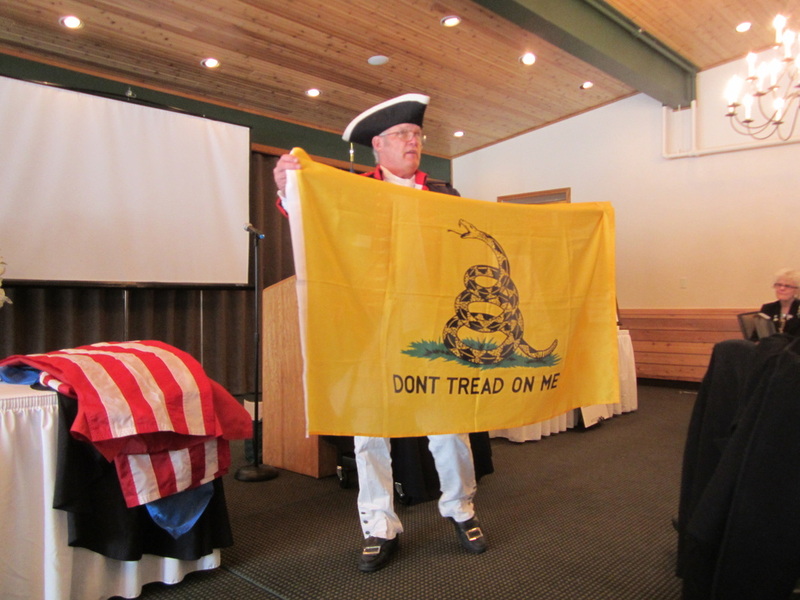 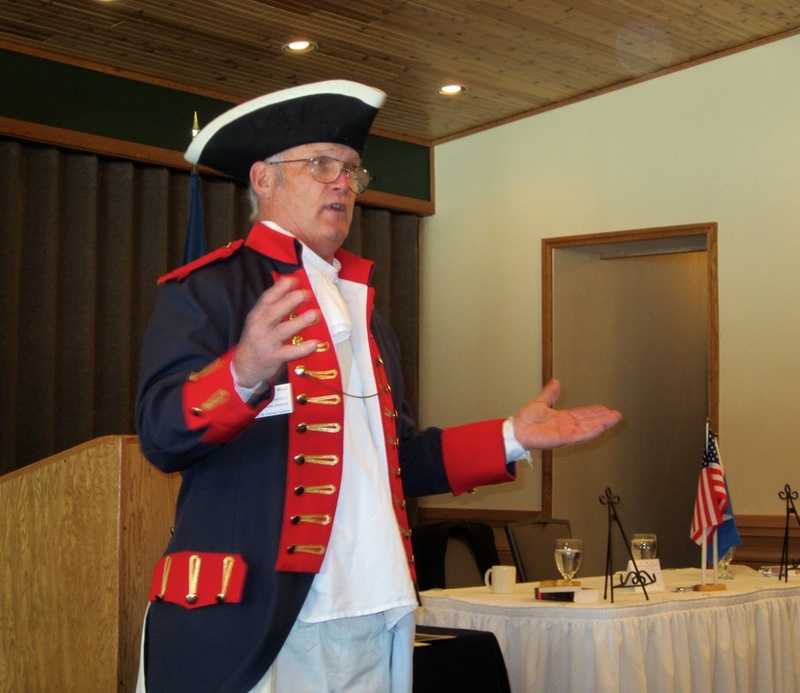 Stan Wills of Sons of the American Revolution presented a fascinating program on flag protocol and the history of the flag. 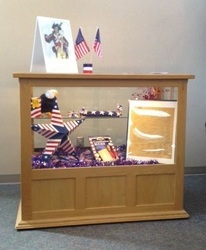 He came in costume representing Virginia in the Revolutionary War. 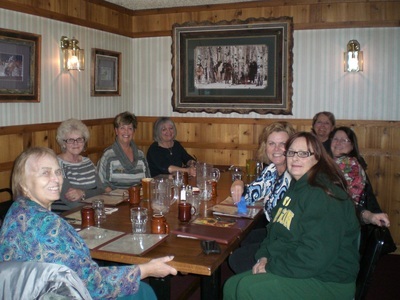 HODARs joined us for our meeting. 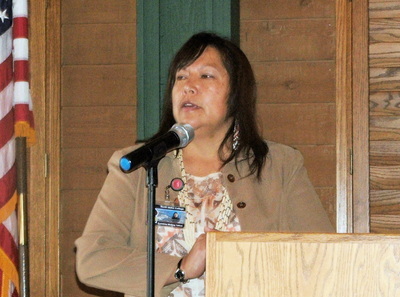 Evanlene Melting Tallow, American Indian Student Advisor at North Idaho College, presented a captivating program focusing on the past, present and future of Native American women. 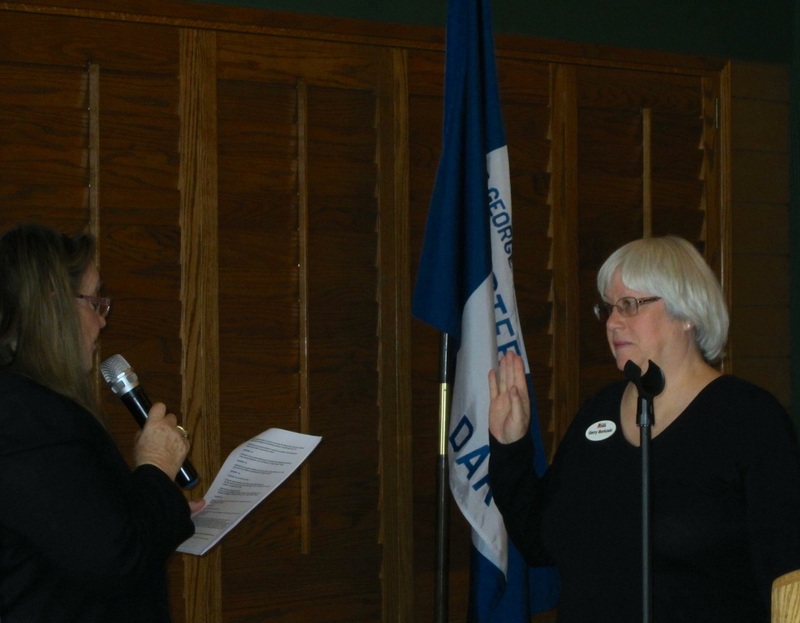 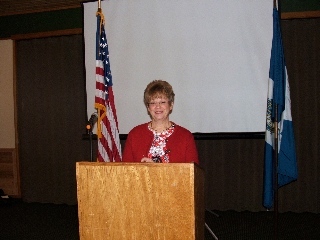 During our meeting Geri Borkoski was installed as corresponding secretary. 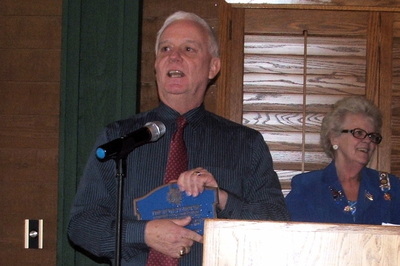 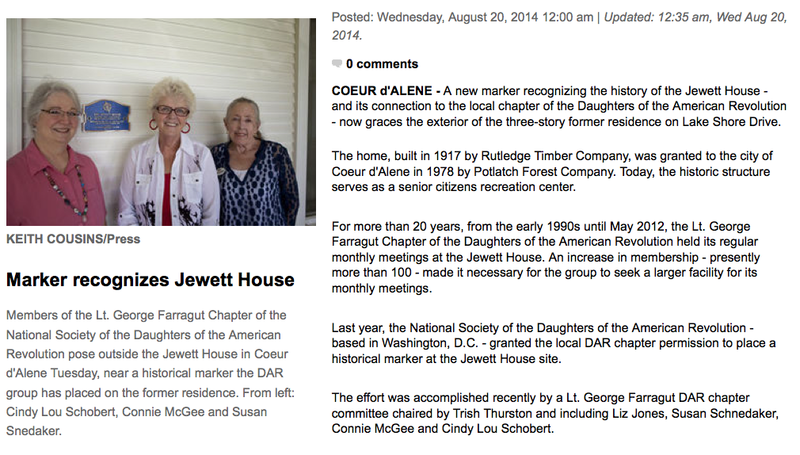 The chapter presented an historical marker plaque for the Jewett House to Steve Anthony who accepted it on behalf of the City of Coeur d'Alene Parks and Recreation. 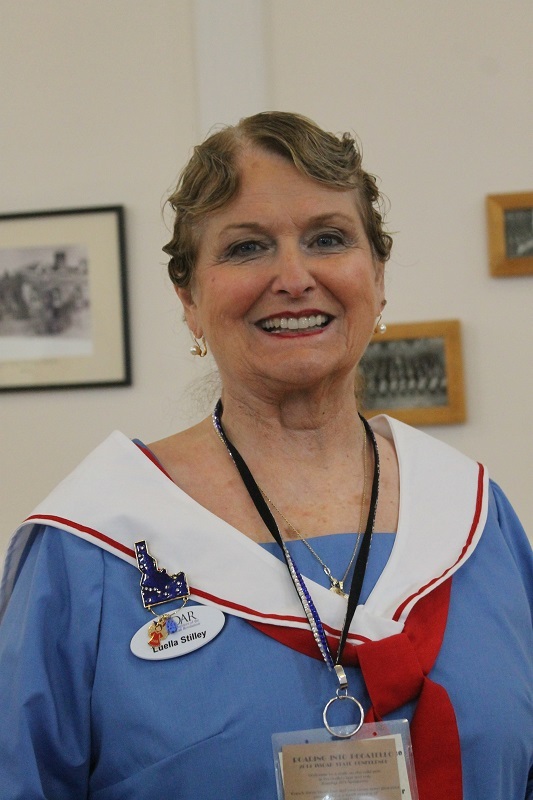 Deni Wiggins presented an engaging program on Honor Flight, a non-profit organization created to honor America's veterans for their sacrifices. Honor Flight takes veterans to Washington, DC, to visit and reflect at their memorials. 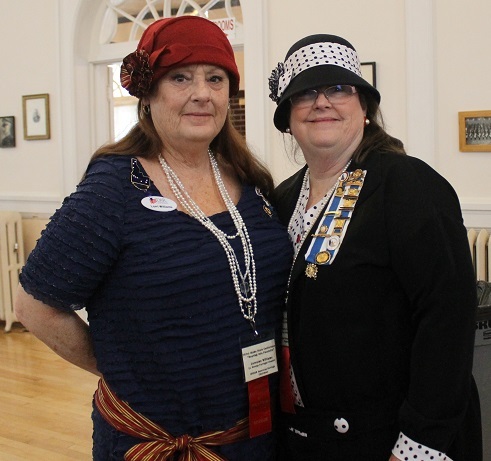 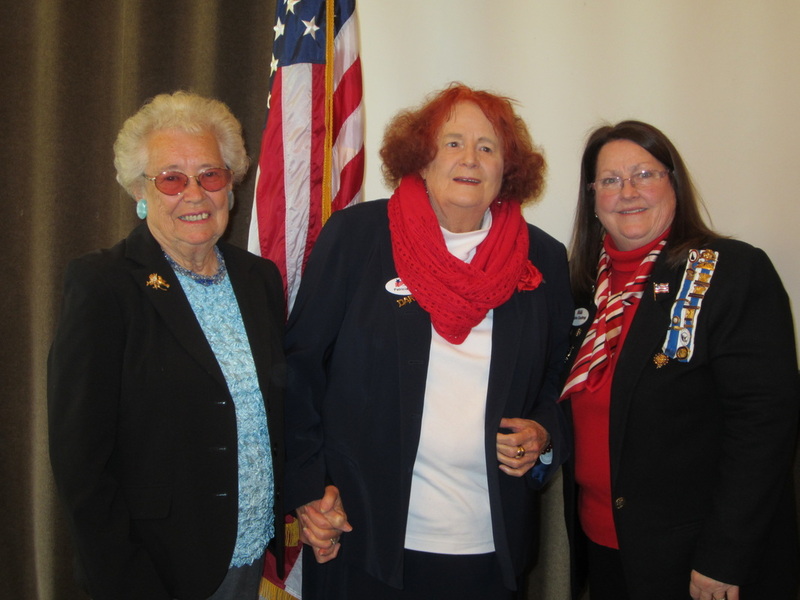 Lt. George Farragut Chapter was pleased to present Barbara McLean of Project Linus with the Outstanding Veterans Volunteer Award and Sandra Doutre with the Outstanding DAR Service to Veterans Award. 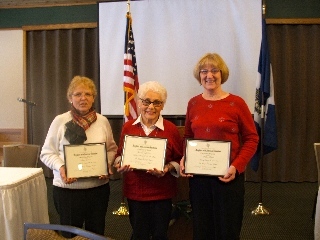 Also in attendance and receiving certificates recognizing their service were veterans Mary Dickson and Helen Kinder. 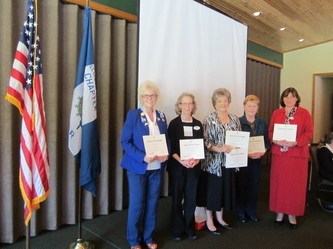 Chapter members and veterans Trish and Mary S. were also recognized for their military service. Our chapter also collected items for the local food bank and for the Union Gospel Mission's Center for Women and Children. 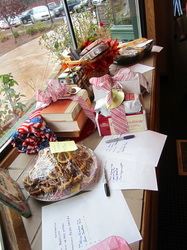 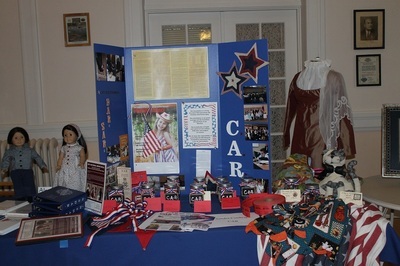 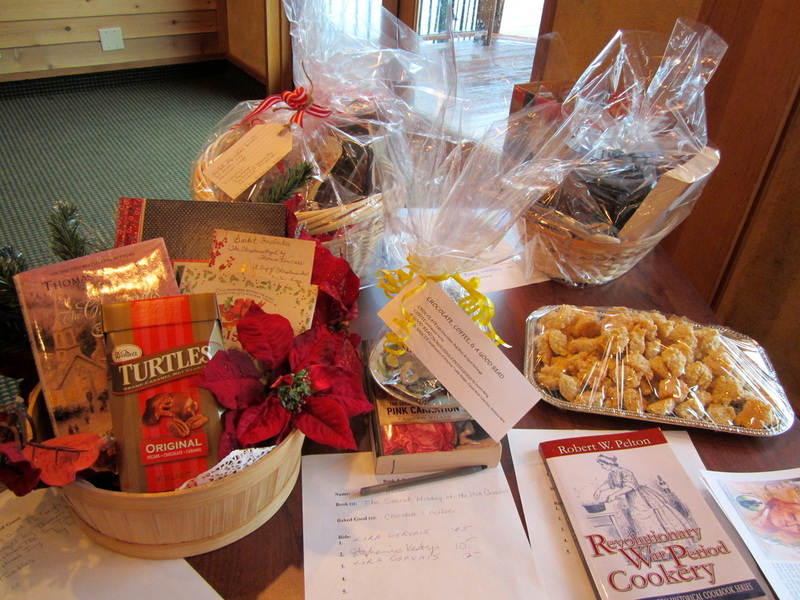 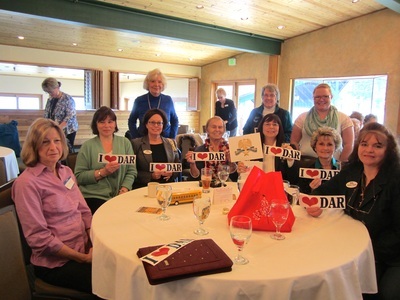 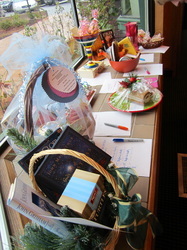 Lt. George Farragut Chapter raised $400 for the DAR National Library through a silent auction Book & Bake Sale. 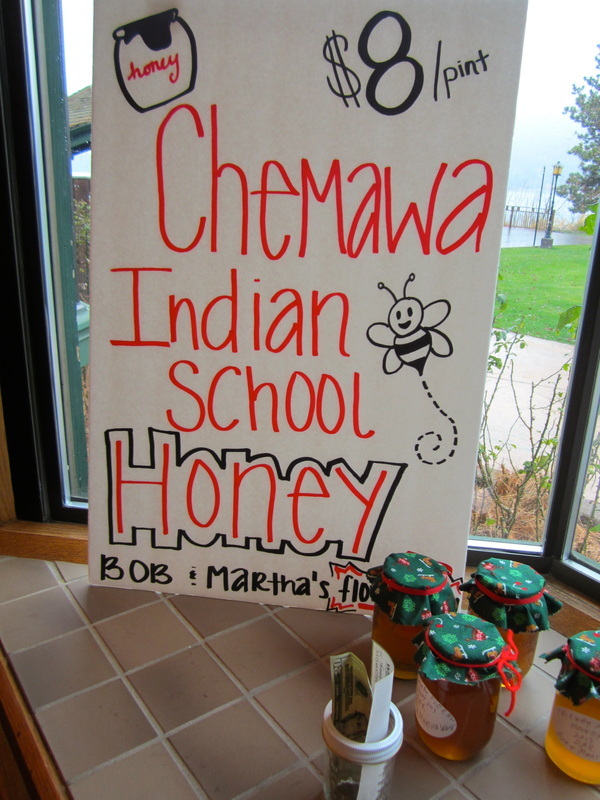 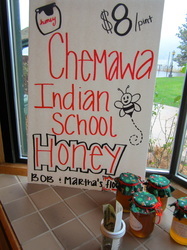 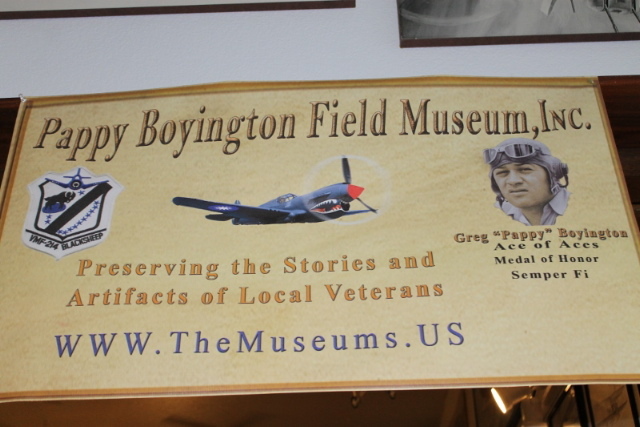 We also raised $108 for Chemawa Indian School through the sale of honey provided by American Indians chairman Martha W. Richard LeFrancis presented a program on the Pappy Boyington Field Museum before members and guests enjoyed a delicious buffet lunch. 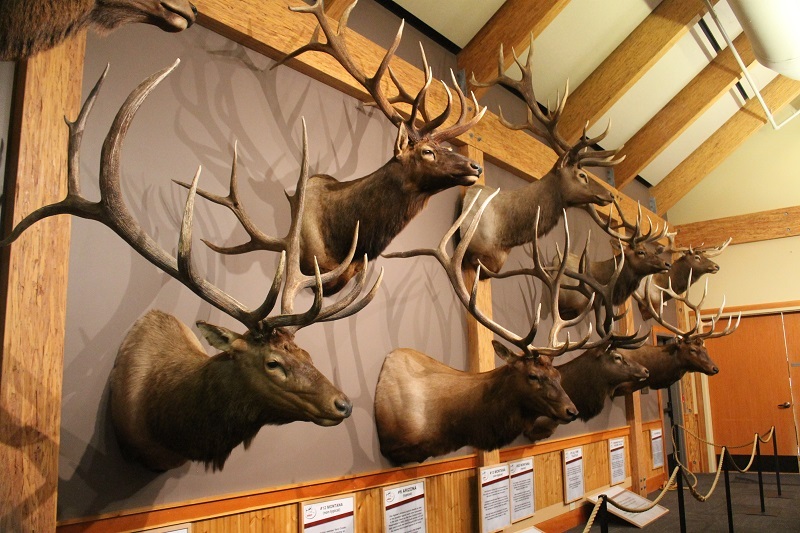 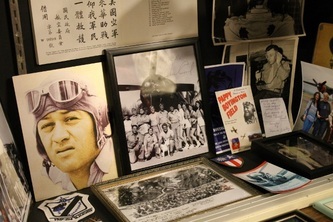 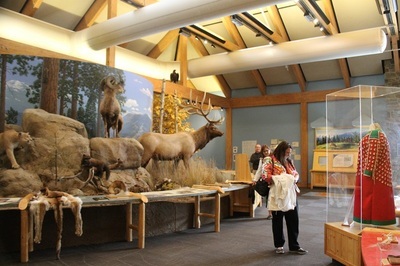 Photos of a visit to the museum by a few of our members prior to our meeting are also included. 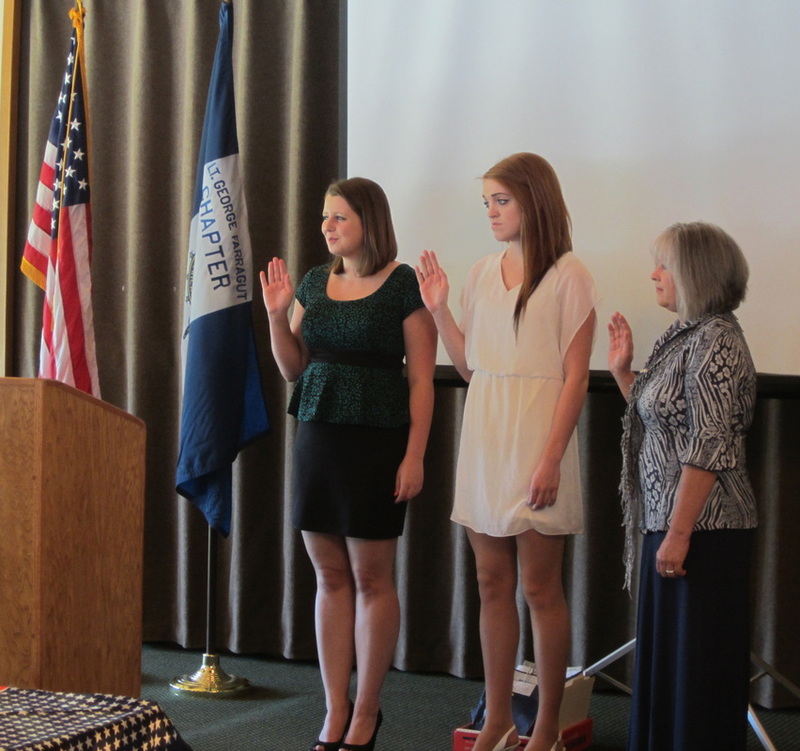 Three new members took the Oath of Membership at our October meeting. 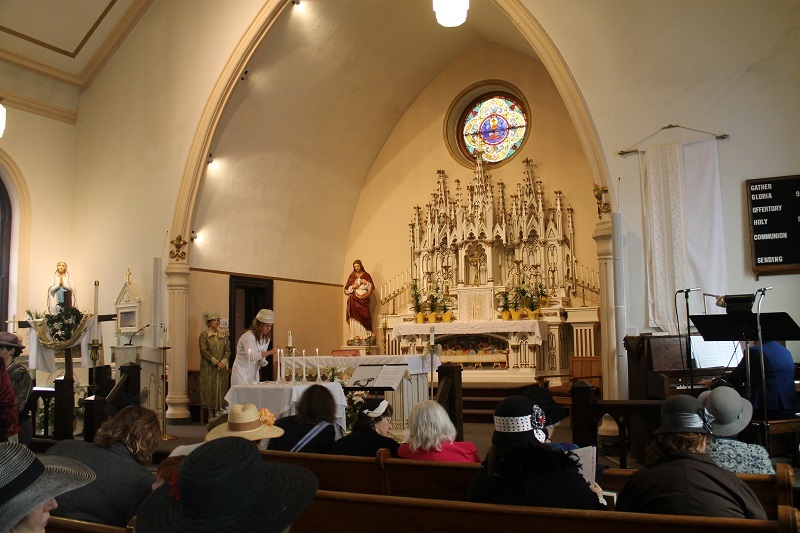 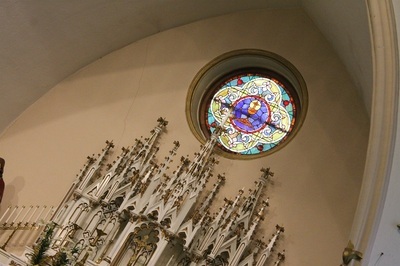 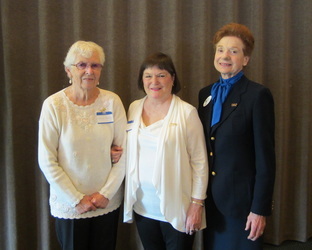 Chaplain Sandra Coultrap led a memorial service for chapter member Ruth Miller and former chapter member Jean Prohaska. 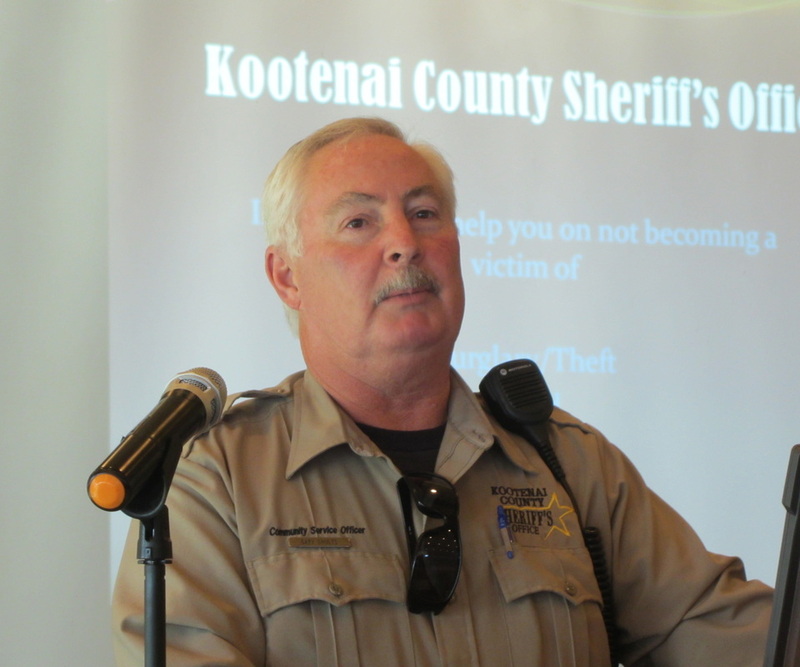 Gary Shults, Kootenai County Sheriff's Department Community Service Officer, presented a program on personal safety issues. 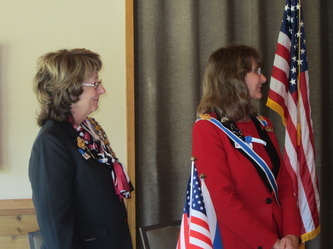 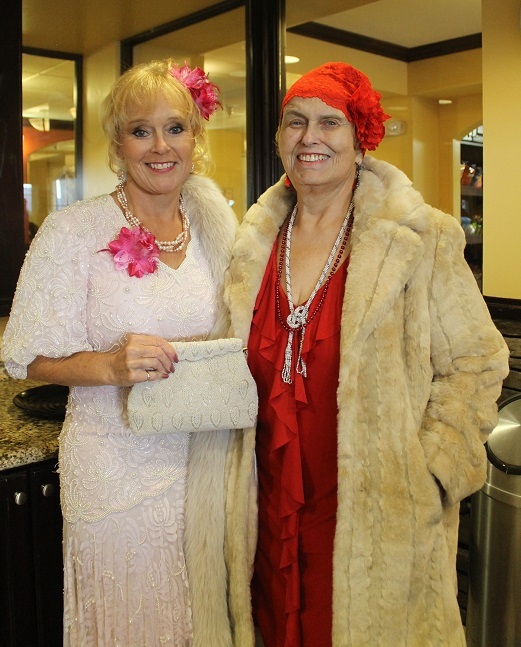 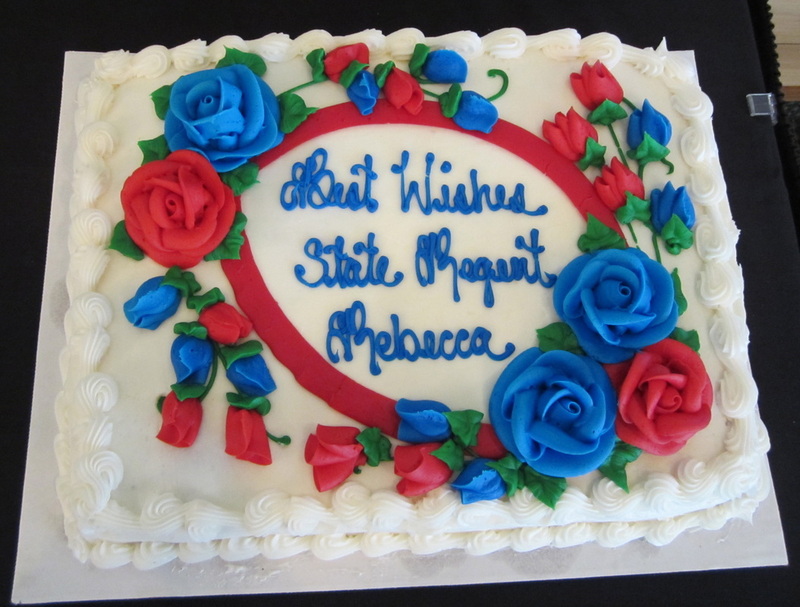 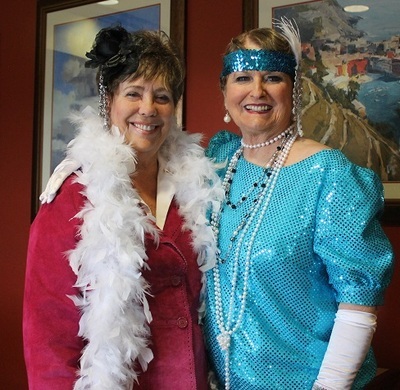 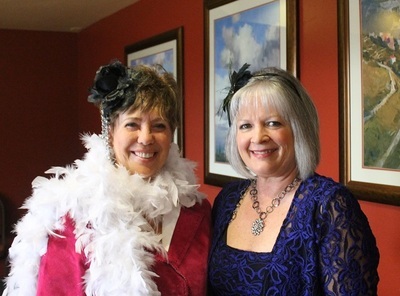 State Regent Rebecca Bowen-Odom and Vice Regent Rhonda Kren were guests at the September meeting. Regent Bowen-Odom spoke about the goals of her administration and the symbol of a patriotic angel. 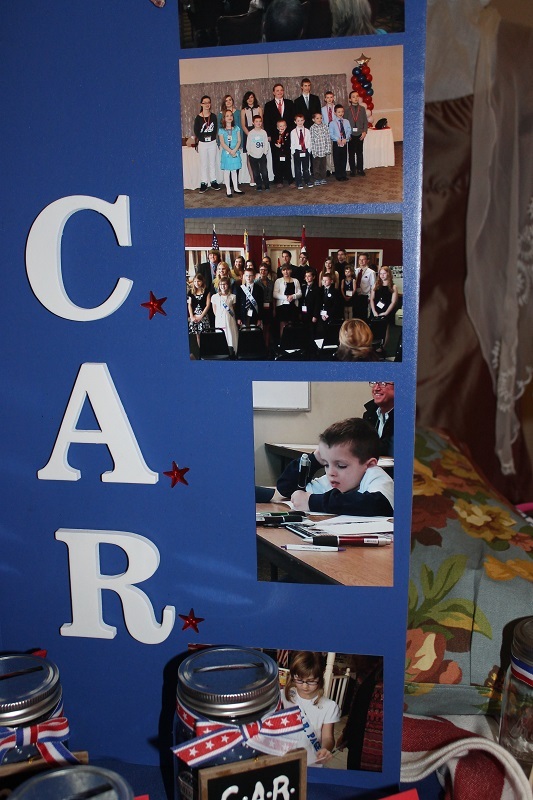 The chapter rang bells in celebration of Constitution Week. Several members received certificates for outstanding service. 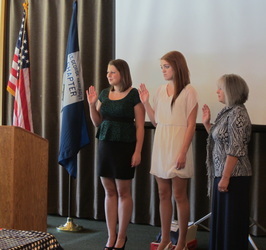 Three new members took the Oath of Membership. 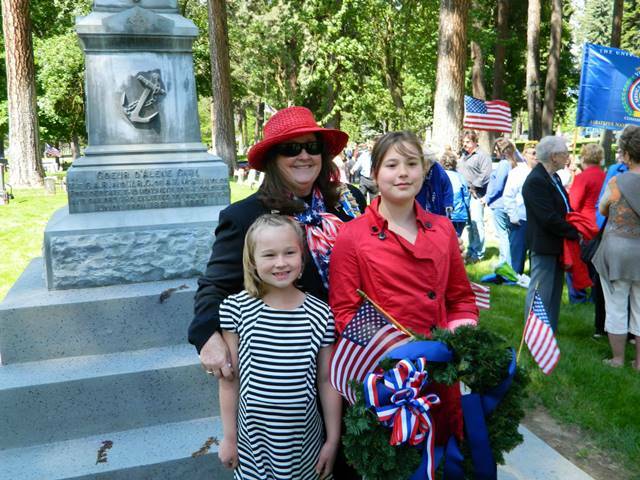 Three generations ringing bells for Constitution Week. 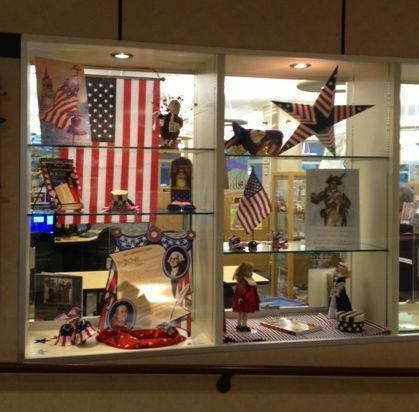 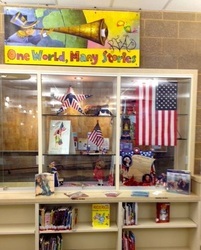 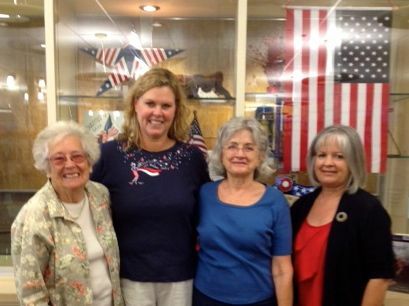 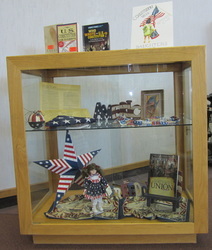 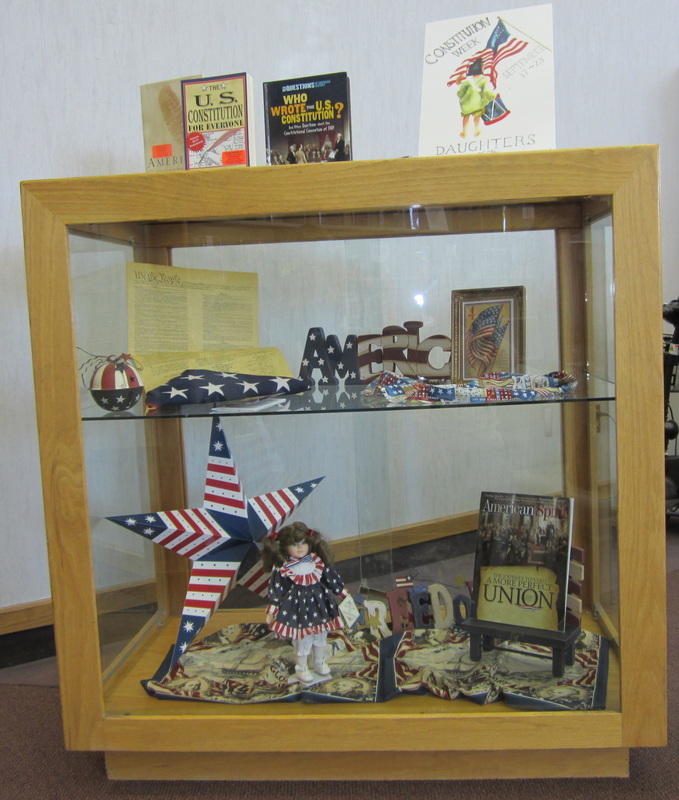 Some of the team that decorated our local libraries for Constitution Week.